Cambridgeshire (abbreviated Cambs) is a county in England, bordering Lincolnshire to the north, Norfolk to the northeast, Suffolk to the east, Essex and Hertfordshire to the south, and Bedfordshire and Northamptonshire to the west. 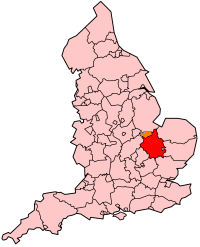 Cambridgeshire contains most of the region known as Silicon Fen. The county town is Cambridge. Cambridgeshire today is the product of several local government unifications. 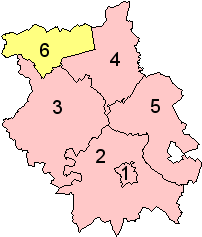 In 1888 when county councils where introduced, two were set up, following the traditional division of Cambridgeshire into the area in the south around Cambridge, and the liberty of the Isle of Ely. In 1965, these two administrative counties were merged to form Cambridgeshire and the Isle of Ely. In 1974, this then merged with the county to the west, Huntingdon and Peterborough (which had been created in 1965 by the merger of Huntingdonshire with the Soke of Peterborough - a part of Northamptonshire which had its own county council). The resulting county was called simply 'Cambridgeshire'. Since 1998 the City of Peterborough is now administratively separate again, as a unitary authority, but is associated with Cambridgeshire for various purposes, such as police, fire, and the Lieutenancy. Famous people include Oliver Cromwell, John Major (Former MP of Huntingdonshire and Prime Minister) and Henry Royce, all from Huntingdonshire. Cambridgeshire is twinned with Kreis Viersen in Germany. Although large parts of the county are extremely low-lying, the highest point is in the village of Great Chishill at 146m/480ft. Other prominent hills are Little Trees Hill and Wandlebury Hill in the Gog Magog Downs, Rivey Hill above Linton, Rowley's Hill and the Madingley Hills. These are the settlements in Cambridgeshire with a town charter, city status or a population over 5,000.